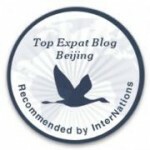 Are you planning to become a Beijing Expat? Maybe you are already in Beijing and are looking for more info on life in China’s capital? 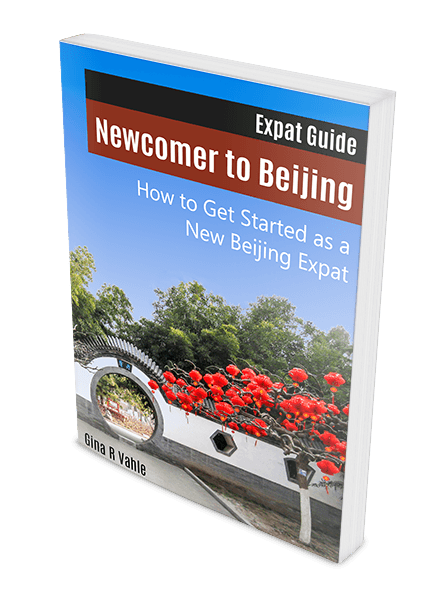 The Beijing Expat Guide provides great information and resources for new or soon-to-be Beijing expats. But even if you have been in Beijing for a while already, you may still find some useful new info and maybe want to contribute your own experiences. We, that is my husband and I, moved to Beijing from the US in 2011. This was not our first international move, and it will not be our last. The way we move across countries, actually continents, is pretty much on our own, without the support of a big company that sends us on an all-expenses-paid 3-year assignment with return ticket. We do our own research and figure things out by just doing them, finding help independently when we need it. By now we have settled in and learned a lot about life in Beijing. One thing we learned is that there are many resources available but not one single place to find everything you need to know when starting out in Beijing. Often, more general info was easy to find. As we got the basics covered and ventured out more and more, we searched for more specific things. Like where to buy Thai basil and lemon grass in Beijing, how to use the bus system, what taxes to pay, etc., just the everyday normal life stuff that travel guides and relocation sites usually don’t cover. Stuff that you sometimes find in a great blog or buried in an expat forum or magazine. With this website I want to share what we have learned and make it easier for others making the move to Beijing. Of course our insights are very much influenced by our chosen life style, which emphasizes local experiences. They are likely different from someone who lives in an expat complex and has a car with driver. Leaving the “expat bubble”, as a friend who lives in the “bubble” himself called it, can make for a great experience. Just give it a try. You get your very first impression of Beijing probably when you arrive at its capital airport. Its airport code PEK is based on the old previously commonly used name Peking, as it is still called in some European countries. We thought this code is a fitting icon for our website link. Learn Mandarin to make daily life easier (not really a separate step but helpful along the way). Click on each section header to learn more. Making the move from a Western country to a city of over 20 million in China is a huge change, even if you have moved to other countries and experienced different cultures before. A change like this may teach you things about yourself you weren’t aware of before (it definitely did for us). This section helps you to explore what to expect and potential challenges to help make the move successful. Before moving to Beijing, or even before making the decision to do so, you will likely have many practical questions. You came to the right place! This section also addresses practical topics you may want to consider ahead of time – air pollution, healthcare, what to bring, banking for expats, how to stay on top of your income taxes while abroad, how to stay connected, and more (besides all the obvious: packing). Once you arrived in Beijing, you will set up your new life and settle in. This section helps you with that. It provides insights on what to consider when looking for a place to live and info on practical matters such as utilities and mail. Here you also find practical guides to transportation in Beijing and how to use subway, buses, taxis. This section of the website covers every day activities like shopping, eating and having fun. That sounds simple, huh? Well, with the right info it is! Find out where to go for western groceries, tips for eating out in Chinese restaurants, and more. Also read about the people you will encounter here, both Chinese and expats, and challenges you may face. Most people come to Beijing because of their work, or the work of their spouse. 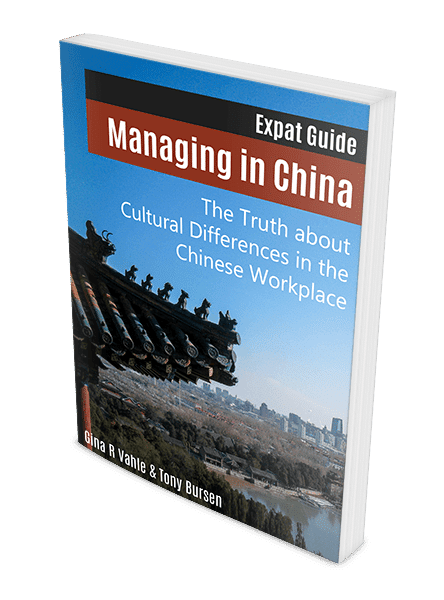 This section explores the effect of Chinese culture in the workplace and other aspects of working in Beijing. Chinese language skills, at least on a basic level, can make everyday life much easier and the experience of living in China much more fun. In this section you can read about the challenges of learning Chinese and find some helpful tools. You can also search the site using the search box or browse through the categories listed on the left hand side. We are still learning new things about life in Beijing every week, and you will continue to see this site expand. Please check back often for new content. And please let me know with your comments or contact me directly if you have questions or suggestions for additional topics. Moving from the U.S. Is there a way to watch American T.V. stations such as CNN? Thanks. Looking to join a fun group of people in Beijing and stay physically active while playing the fastest game on two feet?!? Join Beijing Lacrosse! We welcome both veteran players and new learners to join us every Tuesday evening for practices and Saturdays at noon for games at Chaoyang Park. See our website for more information and contact details. Can’t wait to see you out there! I’ve been here 4 months in Beijing working as a teacher and want to take on new students to teach on a part-time basis, what connections, agencies and networks do people know of here. Also who knows the best way to the Beijing Expat learning centres. I’m moving to Beijing at the end of July to work as a school teacher. My initial contract is 2 years. I am relocating alone from the UK. I’ve lived overseas for 4 years previously (Saudi Arabia) so kind of know what to expect. Can anyone confirm that this website content is still accurate and relevant to Being in 2018? I notice the comment section hasn’t been active recently. Hi Sarah, Beijing is always changing. Especially in the last 2 years, there has been a major “sanitizing” effort to remove markets, street food, etc. Transportation is expanding all the time. So there will be some posts on this website that are not completely up to date. But the general information, e.g. about areas to live, Chinese style apartments, Mandarin, is still current and relevant. Also, some pages have more active or recent comment sections than this page. Best of luck with your move! I am researching becoming an English teacher in China. What to expect when teaching high-school students? Hello I am traveling to Beijing to visit and get a feel of Beijing. Might want to relocate here. I will be in Beijing for about to 2weeks in beginning of October. Looking to connect with other expat or just people in general. Needing help with advice on Beijing and where to hang out with other expat. I am steve and live in Mentougou District and work in Haidian.I want to make friends and glad to help if you are moving to Beijing and need some assistance or advice. hi, my husband and i are applying and planning to move in Beijing, for 2 years contract working at Embassy, but we are still nervous about everything (the life, the security, the commute, the pollution also). But we are open to new culture. How is the apartement rent there, esp near Embassy? Thanks. Hi, just found this site. Possibly (probably) making a move to Beijing in the next 2 months. We’ve lived in Thailand (4 years) and just got back from South Africa (6 years) so the expat life is not new to us. It’ll be just the wife and I. Will start perusing the site. But probably a not-often-heard question, is there any opportunity for expats to participate in clay target shooting sports in and around Beijing? It is my hobby. I suspect, though haven’t confirmed, possession of a firearm by a civilian, especially an expat, is probably prohibited. You are probably right about owning a firearm in China. However, a shooting range clay target field was built for the 2008 Olympics and seems to be used now as a civilian shooting range, check its Facebook page. You may want to ask around in Beijing Expat groups on Facebook or at the InterNations China forum to get more specific info. Been living in China just over a year now and wish I had read this before coming. It was definetely a big shock after only ever living in England. Hope you are enjoying China now. Please feel free to share my website to help others be more prepared. Xie Xie ni! It’s great, such a wonderful place with lots of culture. Best decision I made to come! Hi everyone – I too will be moving to Beijing in 3 weeks’ time! I am very excited, and a bit anxious. I have lived in other countries as a teenager and have been to China many times but never lived there long-term, till now. Gina thank you for your helpful website; I look forward to exploring! Thank you and best of luck with your move Virginia! Thank you for your helpful website. It was good for me to get the picture of the life in Beijing. I am a Japanese and have being lived in the economy and technology development district at the southern end of Beijing in the past 4 month. Although I don’t speak Chinese (I can somewhat read the meaning of Chinese characters as they are used in Japanese), the life in Beijing is so far so good by the help of my co-workers as well. However, what they cannot help is that the air pollution here, even though they are very kind (another is the trafic chaos as you know). I brought an air monitor to measure PM2.5 from Japan, though I found later it would be also available in China. It helps a lot to characterize the pollution in both my office and apartment. Followings are tips I would like to share with you and your friends. 1. There is no big difference between the inside and the outside of the apartment (or office) in PM2.5, like, if it is 200ug/m3 outside, it is 150ug/m3 inside. 2. The room equipped with the air purifier is significantly cleaner as the PM2.5 value is getting less than 10% of the room without it. 3. But when the door of the room is opened, the air deteriorates quickly and cannot recover unless the adjacent room is equipped with the purifier. It suggests that the capability of the purifier should exceed the applicable room size and the door must be always closed if the adjacent room is not equipped with it. 4. Considering #1, when you stay in hotel, it would be better to request an air purifier when you book. I hope above tips are helpful for everbody, though you may already know them. Thank you for your feedback and helpful tips Tomoki! The air quality is definitely an issue at times, and staying inside only helps if you have air filters running that are big enough for the room. Thank you for sharing your data. Hi,I am moving to Beijing in January. I am from South Africa and we our temperatures never dip as low as in the North. I am worried about what to wear. I will be working at a language school and I need to look professional everyday, but I will still have to travel by bus/subway. Also, I am a big girl – can you even find clothing for someone like me in China? Thanks for the advice! I haven’t gotten anything tailor-made in Beijing yet but know that there are some high-end tailors in the Kerry Center and China World shopping malls. For less expensive tailors check out the 3.3 Mall in Sanlitun. Those tailors should all have experience with Western styles and tastes. If you are looking for a nice wool coat, you can also find tailors in the Wool market (Mao fang cheng) north of the fifth ring road, but no English spoken there. I hope this mail finds you well. I’m relocating from Shanghai to Beijing in August. We’ve been in SH for 7 years and my daughter has been enrolled in a national school since grade 1. We speak Putonghua fluently. Long story short, I would like to seek your advise for a blog or website with comments or recommendations about international schools in BJ. Fees are really high and I would like to make sure we get some good advises and visits in, before we decide. Thank you in advance. Hi Shanne, there is a big Yahoo group called Beijing Mamas, where you should be able to get advice from parents about international schools in Beijing. The website beijing-kids.com publishes a yearly school guide, which could also be helpful. Best of luck with your move. Hello! Awesome blog, thank you!! I’ve got a pet question… So, I’m an animal lover, and I’m looking at a possibility of a three-year contract in Beijing. If I were able to get friends to register two of my dogs in their names (and bring them to China for me) and brought the third dog in myself, would I be able to have them live with me without having problems with the landlord, given I would be able to afford a high-end accommodation? Thanks in advance for any tips. You should be able to have the dogs living with you if only one is registered in your name, and the other two are registered elsewhere. But it might be difficult to find a landlord who is willing to accept three dogs. You may have to pay extra. Also keep in mind the size and breed restrictions on dogs in Beijing. Check out this post for more. I’m gay 27 moving to China. I’ve read so many different contradictory things about the LGBT community in China. Reading your blog I understand that you aren’t gay, but do you have any tips? Is it ok to be openly gay with my Chinese co-workers/friends? Or would this be unadvisable in order not to harm the prospect of my development or even endanger myself? Hi Laura, I have gay friends in Beijing, both Chinese and foreigners. China is definitely less open about it than big cities in the US or Europe but I have not seen it being hostile towards gays either. Most gay friends keep quiet about it, at least at work, but I think that depends on the type of company. The older generation of Chinese is certainly not very uncomfortable with homosexuality, so it may hurt your standing with managers. There are LGBT groups in Beijing, and gay-friendly clubs and events in the expat areas. I don’t know about other cities but would expect the same in Shanghai and other more international cities. I am moving to Beijing, Haidian area, in a couple of months. I wish to ship some of my personal items ahead of time. The package will consist of clothes, shoes, a sewing machine, dishes, dog items, bedding. Nothing is new. Should i expect import fees/duties on this package? If so, what should I expect. What can i do to reduce the chances of fees? Also, can you recommend an apartment agent? Hi Lindsey, I have not shipped items to China since many things are cheap to buy here, so I don’t know about import fees. I wouldn’t expect duties on personal belongings but you should check with a relocation company. Also know that taking an extra piece of luggage on the flight can be cheaper and faster than shipping a box. Haidian is pretty big, and most agents focus on specific areas. I think it is better to look for areas you like once you are there and then find a few agents to show you apartments in that area. There are many agent offices everywhere and they are easy to spot. My wife is coming to Beijing to teach AP art for one year at the Beijing National Day School (BNDS). My 15 year old son and I are planning to stay for 4 months to support her move and help the transition. The school offers an apt on the school campus a day we were also considering a service apt near Guomo area. We are still trying to determine if we should put our son in an international school or the National schools international (albeit small) program. Any help with decisions would be greatly appreciated! Hi, great to see you all. My friends say it not easy to find kitchen utensils, such as potato masher, table runner, cake server, pizza cutter, coffee machine etc. If you miss these, I recommend a place to buy, online! just go to paknsave.taobao.com, check what you are interested in. They have English contact service. Ask you Chinese friend how to start to talk there. And there is also IKEA, where you can find many typical kitchen utensils. great to know! is it hard to get to, though? Not too hard. It’s right outside the 4th North ring road. The closest subway station is Taiyanggong on Line 10, but it’s not super close. You can take a taxi and tell the driver the Chinese name for Ikea “Yijiā” or show him a photo of it (Google Ikea Beijing and you’ll find an image). Happy shopping! Great website and super useful information in the ebook. Thank you! p.s. I will ask around and let you know if I find any collection points for batteries containing toxins in Beijing. A post on recycling in Beijing will be coming soon. My girlfriend and I want to travel and teach in Bejing.She has a BS In science and 6 years of law enforcement experience. I,on the other hand have four degree, 2 bachelor’s and 2 associates, criminal justice, interdisciplinary studies, crime scene technology, and homeland security.I also am a disabled combat US NAVY veteran.do u think we will both be able to get teaching jobs? Wow, that is quite some experience you and your gf have. It is in a field that I am not familiar with at all, so I can’t answer your question. Sorry. I would suggest to go on LinkedIn and search for members in Beijing, or China in general, in your field and reach out to them. Best of luck! You’ll have no trouble getting teaching jobs. Have a look eg at http://www.teachingnomad.com/ for more jobs. I am from Mauritius and I just got a job in Beijing and will be coming in February. My boyfriend is also looking for a job in Beijing . He is following TEFL course and he can speak English and French fluently . Do you have any teaching job opportunities he can apply ? There are many English language schools in Beijing that hire foreign teachers. For full time teachers, they should provide a work visa. For part-time teachers they usually don’t. A place to look for jobs is the employment section of classifieds on thebeijinger.com, a popular expat magazine and website. Best of luck! My name is Austin Scott, I am a 22 year old, native English speaking American. I am very interested in the possibility of teaching english as a second language to students in China. Currently I am taking TEFL courses to help my chances of obtaining a job as an english teacher overseas. My only concern is that I do not have a four year degree. I am very professional, polite, well dressed, intellegent, and I am currently tutoring three Spanish speaking children in Chicago to speak English as a second language. I understand that eastern China specifically, is seeking Native English speaking teachers from America, so I believe that I could be an asset to this community. My question is, are there any schools in Beijing that are flexible in hiring teachers with less than a four year degree? Thank you in advance for any advise you can spare me, I really appreciate it. Hi Austin, from what I see in Beijing, as a native speaker with a TEFL certification and teaching experience you should easily be able to find a job in Beijing teaching English. There are now also International kindergartens looking for teachers. I’ll email you a contact. Best of luck! Free 24/7 Chinese tutors for brave souls willing to help us beta test. And by brave, we mean motivated enough to click a download button and make calls to beautiful Chinese teachers. That type of brave. Come sign up at http://www.lingo.chat and get speaking Chinese. I am looking for jewellery making courses here in Beijing. Basically a beginner’s class would suit me. I am also willing to do a one to one private class if anyone is interested to organize one for me. Please help, any information would be appreciated. Looking forward to get some feedback. Hi Elizabeth, I am looking for a jewellery making class in Beijing (preferably silver making) did you manage to find anywhere that had classes? I can only see classes for Shanghai and Hong Kong. Hello, Melanie. Have you found any course? I’m moving to Beijing next month and am also interested in jewellry classes. Regards, Danielle. Hello Danielle, a friend of mine just went to a jewellery class, and she really liked it, I don’t know much about it, but I met with the teacher and he is a very talented designer. Hope it can help. Ni Hao! I am in Beijing now. I just arrived a few days ago. My school is helping to find apartments but this process is not going so well. The places are either slums or too expensive. I have read your articles but nothing I read gives specific places to look. Do you know of any realtors? I have to have a place in a week. Finding a place here needs some patience but still can be quick. Realtors are hit and miss, so I would look for the apartment buildings you like and find an agent outside or agent office close by. They usually have apartments for lease in that area. It’s okay to work with more than one. You can also check the classifieds of The Beijinger online. Just be aware that many agents post there as well. Don’t be put off by how a building looks on the outside or even in the hallways. The apartments inside can still be nice. Can you please advise if there is a magazine and/or website that is for Australian Expats? Hi Mariella, there is ANZA, the Australian and New Zealand Association http://www.anzabeijing.com/, with a website and newsletters. Are you looking for biggest coworking space & expat community in China ? We have our own coworking place with ove 100 startups with us, also terrace venue for events. Get in touch if you are looking to be a part of our place and also grow your business in China here with us, there is always someone who can help another here, so its great positive and high energy atmosphere here. HOW DO YOU COPE WITH THE POLUTION. NOT JUST AIR POLUTION BUT FOOD POLUTION. AND HOW ARE YOU TREATED AS A FORIGNER BY THE NATIVES. I have a group of 15 college students that are interested in touring the Forbidden City. Does anyone know of a local, enthusiastic and informative tour guide that you would recommend? April, you may want to check out Beijing by Heart. I met both co-founders of this small company, they are energetic, fun and very knowledgeable about Beijing. They organize walking tours and customized visits of Beijing’s sites. i am interested in knowing more about Beijing. in Beijing Chaoyang, near the red brick museum and the Orchard restaurant. do you know some other interesting places nearby ? Thanks in advance, appreciate any help! Hi Xing, I don’t live in your target area but am happy to leave the info up for other expats. Best of luck with the survey. Thankyou for your most helpful site . My daughter will be studying abroad in Beijing next month. I am concerned about her safety especially her groups travel across the Silk Road. Any extra advice for a 20 year old that does not speak chinese yet? Happy to hear you find my site helpful, Laurie. Thanks for your blog. We are planning on moving to Beijing in a year or so. I’ve been offered a teaching position. I will be bring my husband and three girls whom we’ve adopted from different parts in China. Between taking my TEFL course and learning Mandarin, I will be soaking up all your wisdom. My first question would be, how can you blog from China? When I was there last year I couldn’t get access to my blog as well as other social media. Thank you again for sharing. Hi Tamara,exciting plans you have, moving with your family to the origin of your daughters. All the best for that! Thanks! I did find the VPN part after I asked you about it. I’m really enjoying your blog, very informative. Loving the website and juicy info! Such a great resource for the waiguorens living in this wonderful city. Hi Chris, Thank you for your kind words. My apologies for not getting back to you per email yet. I will do that today. Nice compilation of info and resources for eco-conscious living in Beijing, Alex. Thanks for sharing. Fantastic idea, loved your page. I am seriously considering moving to Beijing for a teaching job, and I have 2 young girls, one is 11 and the other is 9. I am very concern about the pollution, how do you survive it? is it worth it to take the job and the risk of getting sick? Thanks for your comment Lola. The pollution is a major concern for many foreigners, especially those with kids. I have two posts about the smog here and here. The myhealthbeijing website has more medical info on this topic. At the end, I think this is a very personal decision that only you can make. Hi Patrycja, Welcome on this site, and soon to Beijing. I’m happy to hear you find my website helpful. If you have any specific questions that I have not covered (yet), please feel free to ask me. Great post. Beijing is a city with much secret. We can discover it all the way. Sorry to be niggly, But your statement about the PEK being based on “the old name” for Beijing isn’t quite correct. You see Peking is still the name for Beijing in Cantonese. You could say it was the name the world used to use misguidedly. You see prior to China emerging from seclusion about 25 or so years ago the main point of contact the rest of the world had with Chinese people was Hong Kong and HKers who had emigrated overseas. 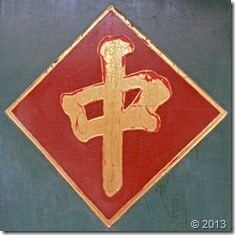 HK people, being Cantonese speakers populated the world’s ears with the Cantonese word for Beijing, Peking. Just as they did for Nanjing, as Nanking. Bei means North as does Pei, Jing or King means Capital (city). Beijing means Northern capital, Nanjing, Southern capital and Dongjing (Mandarin for Tokyo), Eastern capital. (They considered Japan theirs a long long time ago when they had a big Navy).